The upper Lower Cretaceous rocks of Australia have produced a fair number of "hypsilophodont" remains over the years. Four species had already been named prior to 2018: Atlascopcosaurus loadsi, Fulgurotherium australae, Leaellynasaurus amicagraphica, and Qantassaurus intrepidus. They've become a bit of a pop culture footnote among dinosaurs (particularly Leaellynasaura) as South Polar dinosaurs adapted to living in a land with prolonged yearly darkness, but are actually rather poorly known. There is a distinct taphonomic tendency for pieces-parts, which has made it difficult to build up a good anatomical picture for any one species. Atlascopcosaurus is based on a maxilla, Fulgurotherium is based on a partial femur, Leaellynasaurus is based on a partial skull, and Qantassaurus is based on a dentary. There've been some attempts to assign other material to some of them, but in the end it's kind of hard to do so with limited overlapping parts. Leaellynasaura has historically had the most work in this direction, with the addition of more skull material and a partial postcranium from the type locality allowing other fossils to be added as well (these are the specimens that have been used to present Leaellynasaura with a super-long tail), but taphonomic study of the type quarry has called the referrals into question (Herne et al. 2016). 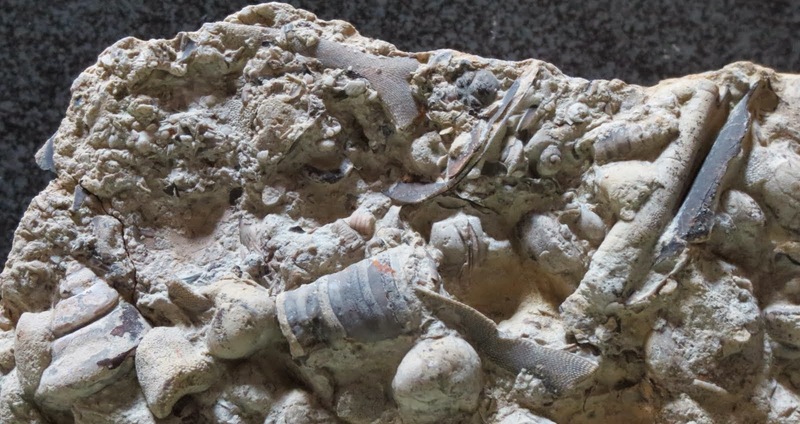 So, we're left with four named fossils and a bunch of unnamed specimens from three Aptian–Albian formations. Herne et al. (2018) present Diluvicursor pickeringi, the first Australian "hypsil" to be based on more than a bone or two. Diluvicursor pickeringi, from Herne et al. (2018) (figure 7), representing the holotype NMV P221080. Genus and species: Diluvicursor pickeringi; "Diluvi" being Latin for "deluge" or "flood", referring to the type specimen being found in rocks from a large ancient river and "cursor" the Latin for "runner", giving us "flood runner". "pickeringi" is for the late David A. Pickering. Citation: Herne, M. C., A. M. Tait, V. Weisbecker, M. Hall, J. P. Nair, M. Cleeland, and S. W. Salisbury. 2018. A new small-bodied ornithopod (Dinosauria, Ornithischia) from a deep, high-energy Early Cretaceous river of the Australian–Antarctic rift system. PeerJ 5:e4113; DOI 10.7717/peerj.4113. Stratigraphy and geography: "Eric the Red West Sandstone" of the Eumeralla Formation (lower Albian, Lower Cretaceous), "Eric the Red West" site near Cape Otway and Dinosaur Cove, Victoria, Australia. Holotype: NMV [Museum Victoria, formerly National Museum of Victoria] P221080, most of a tail, the distal ends of the right tibia and fibula, the right ankle, and part of the right foot (mostly the metatarsals and a few of the phalanges, showing evidence of an injury), belonging to a juvenile perhaps 3.9 ft (1.2 m) long. The tail is articulated, and with the leg bits was found across five blocks. Given what is known of the type and how the bones are positioned, I'd bet that originally at least a hip and the upper part of the right leg were also present, but have been lost to erosion. NMV P229456, another tail vertebra from the same site, belonging to an individual about twice the length of NMV P221080, was referred to the species. Diluvicursor has an interesting taphonomic story. The "Eric the Red West Sandstone" represents the deposits of a river channel scoured into the underlying Anchor Sandstone. It was not a gentle babbling brook; included in the fluvial rocks are rip-up clasts up to 10 in (25 cm) across, logs up to 3 ft (1 m) in diameter and 16 ft (5 m) long, and evidence of underwater dunes 33 ft (10 m) across. Herne et al. (2018) estimate the river as having been around 0.6 miles (1 km) across, flowing to the northwest. (At the time Australia and Antarctica were in the process of dissolving their relationship, so what is now seacoast was then part of a rift zone with Antarctica on the other side.) NMV P221080 seems to have been among a number of vertebrate remains that got caught up among logs in the river. Other vertebrates known from the site include fish, turtles, plesiosaurs, pterosaurs, theropods (a spinosaur neck vertebra) and mammals. Herne, M. C., A. M. Tait, and S. W. Salisbury. 2016. Sedimentological reappraisal of the Leaellynasaura amicagraphica (Dinosauria, Ornithopoda) holotype locality in the Lower Cretaceous of Victoria, Australia with taphonomic implications for the taxon. New Mexico Museum of Natural History and Science Bulletin 71:121–148. Herne, M. C., A. M. Tait, V. Weisbecker, M. Hall, J. P. Nair, M. Cleeland, and S. W. Salisbury. 2018. A new small-bodied ornithopod (Dinosauria, Ornithischia) from a deep, high-energy Early Cretaceous river of the Australian–Antarctic rift system. PeerJ 5:e4113; DOI 10.7717/peerj.4113.